Hello again, Judges! This week we bring you the tale of a judge who almost wasn’t. Grab yourself a pillow and get ready to meet everyone’s favorite sleepy boi, Brook Gardner-Durbin! Why did you become a Judge? 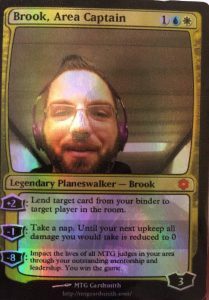 There was a conference at my LGS, and there were foils being given out to people who certified. 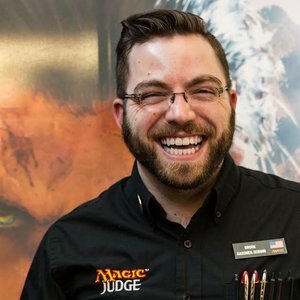 I had no interest in judging, but I like foils, so I figured I’d show up, tell whoever what they wanted to hear about “helping the community” and whatever, get my foils, then never judge anything. Then I got roped into judging some local events for a bit when the formats weren’t ones I wanted to play. After a bit of that, I thought “that’s enough of that,” but I didn’t want to leave the state completely helpless, so I figured I’d get L2 so I could make some L1s to replace me, and then I’d sail into the sunset. 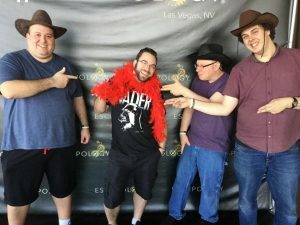 Then I judged Vegas 2015 because the pay was absurd, and found I enjoyed it far more than I expected to. That was when I really “bought in” for the first time. Least favorite card: I like long games where both players get to make lots of decisions that matter. Anything that doesn’t provide that, I dislike — Blood Moon, Chalice of the Void, anything that can win before at least turn 5, etc. You were nominated for your outstanding work in growing the Montana judge community. What do you think are some important steps for success when trying to develop a local community? I unfortunately don’t have any magic answers. It’s just about putting in the time and work, like anything else. Spend time with judge candidates – work multiple events with them before you even start talking about certification. I don’t like the idea of certifying a candidate without having worked with them based on someone else vouching, no matter who is giving the candidate the thumbs up. Recently, my focus has shifted from teaching to teaching how to teach. This comes largely from making my peace with the fact I can’t do everything. I’m not trying to help candidates get to L1 anymore; I’m trying to help my L2s identify better candidates, learn how to pass on some of what they know, and helping them through certifying their own first L1s. Try to pass on enough of what you know that you become unnecessary. You are also known for being widely involved in the Judge program either through Grand Prix events or the myriad of projects you are a member of. What advice do you have for judges looking to become more involved in the program? There are a million projects that could use help, and you don’t need permission to start a new project if something needs to be done. Whatever you want to focus on, there’s a way to contribute regardless of your level. You can do it, you just have to do it. I decided to begin working toward level three near the end of 2016, at my 10th GP, when I looked around at one point and, for the first time, I felt comfortable I knew what was going on. I immediately decided I was going to start climbing the next hill. One of the first things I knew I’d need to improve at was interacting with other judges. For those first 10 GPs I worked, I mostly kept to myself. I didn’t like working in groups, meeting new people, I could be overly abrupt, etc. When I decided I was interested in getting L3, I started putting more effort into meeting and working with other judges, and I’ve improved significantly at what we call “soft skills” (a terrible term). There’s nothing wrong with not wanting to go to dinner with 25 other judges after every shift, but I think some people use “I’m an introvert!” as a crutch to avoid working to improve at these skills. Working well with other people is not just a nice bonus, and it’s not something you’re either born knowing or not — it’s absolutely essential, and it’s a skill that can be practiced like any other. Scott Neiwert and Steven Zwanger . 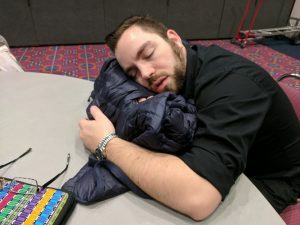 Scott was at the conference where I was certified for L1, and he had a huge impact on me just by answering my questions without making me feel like a burden. When I reached out to some of the others with questions at FNMs, I often got the vibe they were putting up with me rather than really there to help. I probably would have given up on judging before I ever got to L2 if Scott hadn’t been there with a smile when I pinged him on FB. He taught me a lot more after I started working GPs and he eventually wrote me one of my recommendation letters for L3, but that’s certainly dwarfed by the impact he had just by being there when I needed someone in the beginning. I try to keep that in mind whenever I’m approached with a question, whether it’s a simple one-time thing or a request for real mentorship. I try to make sure they know I don’t mind the question and I’m happy to have the conversation. I don’t actually remember meeting Steven Zwanger; he’s just been there for as long as I’ve been working Grand Prix. He taught me more than I could say about judging, but I think maybe the biggest thing he gave me that I couldn’t have gotten elsewhere was taught incidentally — he taught me how to teach. After watching him help a hundred other judges improve, I was able to replicate a lot of what he does with my own mentees. One cool thing about playing Magic in Montana is that, because we have a much smaller community than many (most) places, everyone knows each other. We’re much tighter knit than most places. 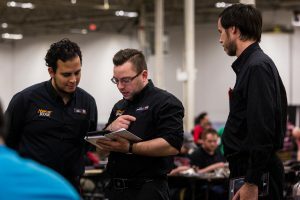 I’ve played in LGSs in Seattle, Denver, Madison, LA, NYC … and I’ve met players who play at the same shop every week and don’t know the other regulars at all. In Montana, the competitive players might live 4 hours drive away from each other but we all hang out at every tournament. I started playing in kindergarten or first grade or so, before I could read. I remember not seeing what the big deal with reading was or why it was so important to learn, and then Fallen Empires came out with multiple arts for every card and I couldn’t play by memorizing the pictures anymore. At that point, Magic was just a cool fantasy game — iconic cards like Shivan Dragon, Serra Angel, and Sengir Vampire really captured me. I played with school friends for a while before quitting when my family moved to Japan, then came back to the game after we moved back to the US around Odyssey. At that point, I was in middle school, and life wasn’t great. I was picked on pretty mercilessly through most of middle and high school and didn’t have a lot of friends at school. The card store was the place I could go and let that all melt away, and actually make some friends. I played through Odyssey, Onslaught, and Mirrodin blocks, and Champions of Kamigawa, then quit after Betrayers of Kamigawa still didn’t solve the Affinity problem. I stayed out ~a year and a half, missing Saviors, all of Ravnica block, and Coldsnap, then came back to the game just before Time Spiral was released in 2006. I’ve been playing ever since. 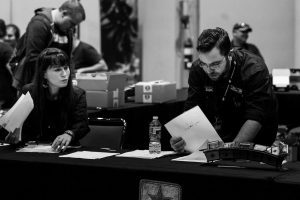 Maybe GP Vegas, 2018 — it’s a few days before the event begins as I write this, but I’m looking forward to showing the ropes to a couple of my local judges I certified for L2. Montana hasn’t fielded three L2s to a GP since Vegas 2015, but I’m excited to introduce my judglings to the big show and see what they can do. 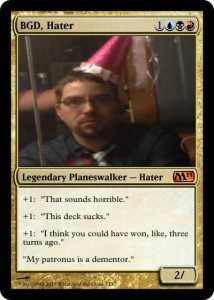 I’m not sure about the worst I’ve broken the letter of the rules, but the worst I’ve broken the spirit of the rules was when I won a Tribal tournament with a biiiiiiiiig Wizards deck. 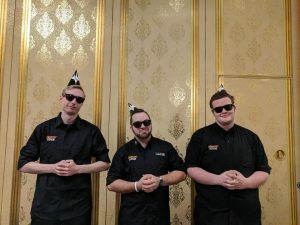 Normally, the rules for a Tribal event are that one third of your deck has to be the chosen tribe — for this event, the store’s posted rules said that your deck had to contain at least 20 cards of the chosen tribe … so I drove a truck through that loophole and played UW control with something like 140 cards and 15 sweepers against a bunch of people playing with 25 land and 35 creatures. 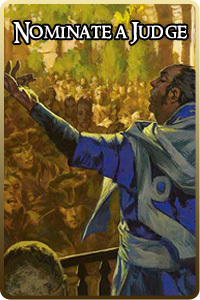 Onslaught was released in 2002, and the fetchlands from it became judge promos in 2009 — a gap of seven years. Zendikar was released in 2009, so we’re now more than seven years past. MaRo promised no more incomplete cycles of cards. It’s time to make things right and print the Zendikar fetchlands as judge promos. I was Culture Editor of my college paper for two years. I have released two albums of original piano music. 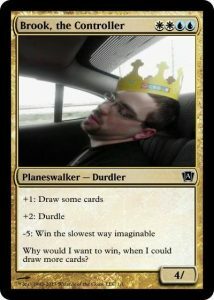 Christian Gawrilowicz never playtested Magic, but he did interview Richard Garfield.